I love teddy bears! Believe it or not, the cake topper at my wedding was a teddy bear bride and groom, LOL!! Well, it’s been a few years and I no longer have a teddy bear themed kitchen or Christmas tree but I do get my teddy bear fix through art. You can probably guess the subject for Art 365-16-22. 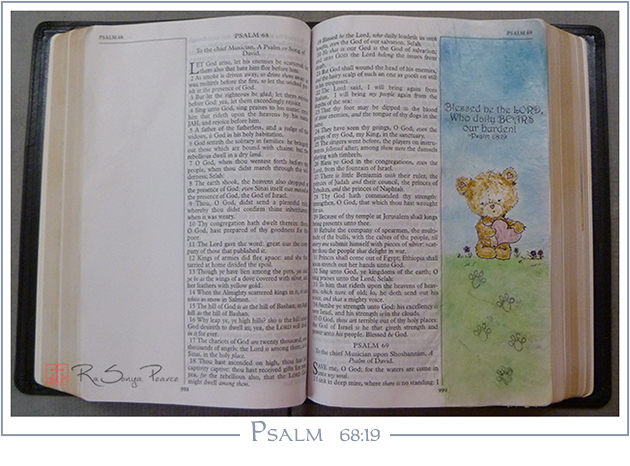 Yep, Psalm 68:19 interpreted teddy bear style!! 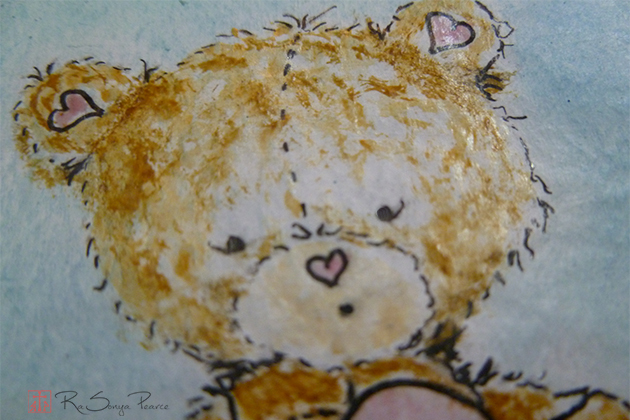 The little bear is ink and watercolor while the background is chalks and a stamped verse. Really, who can resist a cute, cuddly, huggable teddy bear? Not me!